Couture Bridal Photography is the most preferred and trusted Wedding Photography studio in Palm Beach Florida. Couples like Andy and Juliet, chose Couture Bridal Photography for their wedding photography at the Breakers Palm Beach for the most authentic Wedding Photography story telling that is elegant, romantic and timeless. Couture Bridal Photography has been the most prevalent and trend setting wedding photography studio serving Palm Beach since 2008.
Who is Couture Bridal Photography? Couture Bridal Photography was founded by Alfredo Valentine, a master photographer who decided Wedding Photography was the most ideal medium to create imagery that covered several styles of Wedding Photography. Alfredo Valentine works with a team of talented artists to capture, curate, edit and deliver the most robust authentic collection of Wedding Images to couples throughout Palm Beach Florida. What kind of Wedding Photography does Couture Bridal Photography offer? 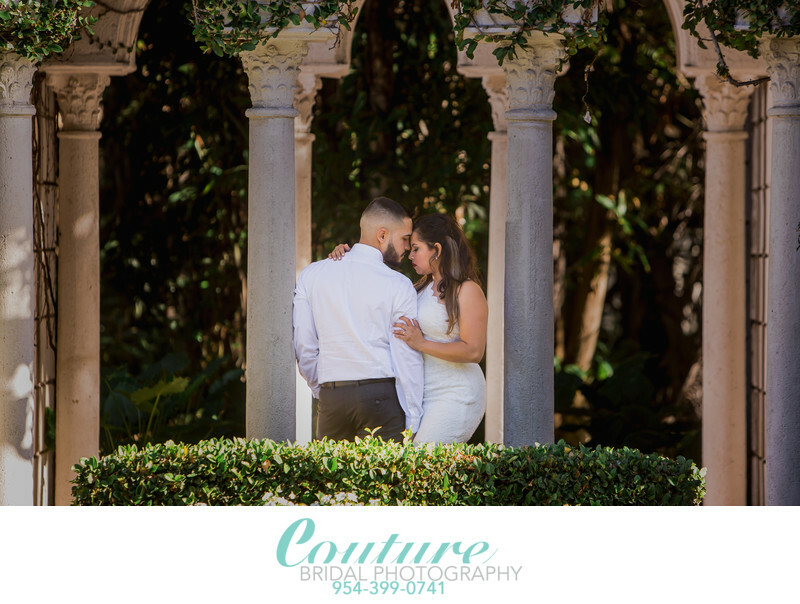 Couture Bridal Photography has become the most prominent Wedding Photography studio serving Palm Beach brides and Grooms, as well as those from around the world with the most distinct and captivating style of Wedding Photography anywhere in Florida. Couture Bridal Photography blends several distinct photography styles to create an all encompassing Wedding Photography experience that captures every detail, moment and cherished emotion throughout a bride and grooms wedding day. Couture Bridal Photography's unique wedding photography style is a mix of photojournalism, editorial, illustrative, glamour, fashion, boudoir and contemporary portraiture to capture, curate and deliver a detailed wedding day story with elegant, romantic and timeless wedding images. When is Couture Bridal Photography available for Wedding Photography in Palm Beach? Couture Bridal Photography is available 365 days a year for couples seeking the most comprehensive wedding photography throughout Palm Beach. Couture Bridal Photography typically books Weddings 12-18 months in advance of weddings and requires quick booking. Couples seeking the award winning style of Couture Bridal Photography call us immediately after booking their wedding venue, especially if it's the Breakers Palm Beach, Flagler Museum, Colony Hotel, Tideline Resort or Harriet Himmel theater where Couture Bridal Photography excels in creating the most amazing images. Where can Couture Bridal Photography provide my Wedding Photography? Couture Bridal Photography is insured to one million dollars as most Wedding venues require throughout Palm Beach. Couture Bridal Photography is welcome at the Breakers Palm Beach and every other wedding venue throughout the United States. Keep in mind that the Wedding industry is a multimillion dollar industry and many wedding planners, event managers and catering managers benefit financially for pushing vendors who pay kickbacks. Although this practice is frowned upon, it is a well known practice. Even at the Breakers. Couples seeking a unique Wedding Photography experience choose Couture Bridal Photography at the Breakers and most high end wedding venues throughout Palm Beach and West Palm Beach Florida. Couture Bridal Photography may not be on a specific Wedding vendor list at some venues, but ultimately it's brides and grooms who decide who provide their Wedding Photography experience and Couture Bridal Photography offers the best boutique luxury Wedding Photography experience in Florida and around the world. Why is Couture Bridal Photography the best choice for brides and grooms looking for a Wedding Photographer in Palm Beach or at the Breakers Palm Beach? Couture Bridal Photography is the preferred and most recommended Wedding Photography studio in Palm Beach for our style passion and dedication to providing couples with the ultimate luxury Wedding Photography experience. Couture Bridal Photography works with each couple to capture and create what matters most to them during the course of a wedding day. Couture Bridal Photography also has a distinct wedding photography style that couples throughout Palm Beach and worldwide find the most appealing for albums and wall art. By far Couture Bridal Photography is the most preferred and recommended Wedding Photography studio for weddings hosted at the world famous Breakers Palm Beach where Couture Bridal Photography has provided the most authentic and spectacular wedding images on celebrity weddings held there on several occasions. Couture Bridal Photography offers professional printing and custom designed Wedding albums that are hand made in Arba, Italy by Graphistudio. Graphistudio is the worlds finest album binder in the world with hundreds of custom options to create the perfect heirloom Wedding album anywhere. How does Couture Bridal Photography create such amazing wedding pictures and how do we book Couture Bridal Photography for out Breakers Palm Beach Wedding? Couture Bridal Photography creates spectacle images throughout Palm Beach and at the Breakers using the finest professional Camera, lenses and lighting equipment. Couture Bridal Photography also provides brides and grooms direction on posing and setting the stage for moments to take place. Couture Bridal Photography is the most sought after wedding photography studio in Palm Beach and at the Breakers Palm Beach for our professional styling, posing and lighting to make the most of every possible scene, location or place throughout the Wedding day. The Best way to book Couture Bridal Photography for your Wedding day photography is to call us or use the contact page to provide us with enough information to start a conversation about your particular wedding. Whether your hosting a wedding at the Breakers Palm Beach or anywhere in Palm Beach, these are the best methods to hire us for your wedding. Location: 1 South County Rd, Palm Beach, FL 33480. Keywords: Breakers Palm Beach (9), Bridal Portrait (120), Palm Beach (114). 1/200; f/3.2; ISO 125; 175.0 mm.